The Phoenix House combines over 24 years of Friend of the Court experience with years of law enforcement, security and surveillance expertise. Phoenix House offers two primary services that allow families to re-establish, repair or continue building parental bond and strengthen the child / parent relationship. Visitation between a parent and child is supervised by highly trained staff members, as well as through the use of video surveillance and audio monitoring devices. Staff members keep a safe distance allowing the growth of the relationship to flourish while still provide a safe, secure and monitored environment. 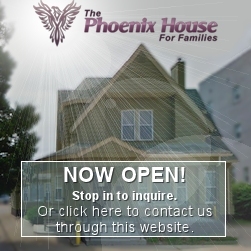 Phoenix House offers a safe location for the exchange of a child or children from one parent to another in a home-like atmosphere where the actions of both parties are monitored and recorded by our trained staff members. Phoenix House is designed to offer everything from simple transfers of a child / children to no contact transfers where the two parties are never face to face. Parenting Time Coordinators: Mary C. Duross, Esq. and John E. Lewis, Esq. of the Court, Attorneys & their Clients.